Lincoln is updating the MKC amid slumping Canadian sales of the the luxury compact crossover. The freshening of the 2019 MKC, a vehicle the company says draws the most customers from rival brands, is also done in hopes of further accelerating growth in a stalling U.S. luxury market. The 2019 MKC features new infotainment and safety technology and the mesh grille found on Lincoln's newest products, including the Continental and MKZ sedans and the Navigator SUV. The 2019 MKC is due in Canadian showrooms late next summer. MKC sales in Canada are down 7.8 per cent to 2,068 vehicles this year. 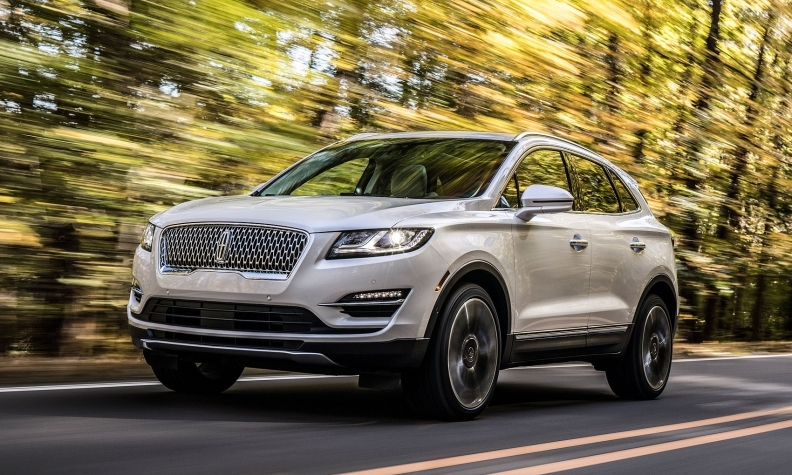 Slumping MKC sales are a big reason why Lincoln’s total SUV sales numbers are down five per cent overall this year. South of the border, overall U.S. sales of luxury cars and light trucks are roughly flat through October, but Lincoln deliveries have edged up 2.4 percent and MKC sales are up 8.7 per cent to 22,507. The MKC is also Lincoln's best-seller in China, a market it expects eventually will surpass the United States in overall volume. Since the MKC's introduction in 2014, Lincoln executives say almost half of the crossover's sales have come from customers switching from other brands. "We recognize it takes a lot to attract a buyer from other luxury competitors, but the Lincoln MKC has that kind of appeal and we believe that the new MKC will capture even more luxury clients," Lincoln President Kumar Galhotra said in a statement. The crossover will be formally introduced next week at the Los Angeles Auto Show. Besides the change to the front end, the 2019 MKC undergoes a few other exterior tweaks, including new colors, wheel choices, LED lights and chrome accents on the back end. Inside, the crossover will offer Ford's Sync 3 infotainment system with Apple CarPlay and Android Auto. It will also add driver-assist features including pre-collision assist with pedestrian detection with automatic braking. Active park assist, lane-keeping alert and blind spot information system with cross-traffic alert can be added as options. Ford will also offer three new Black Label trim options in the United States, but they won’t be available in Canada. The 2019 MKC will carry over the standard turbocharged 2.0-litre engine and twin-scroll turbocharged 2.3-litre engine available on the current model. The 2.0-litre makes 245 hp and 275 pound-feet of torque, while the 2.3-litre makes 285 hp and 305 pound-feet of torque. Each powertrain comes in a two- or all-wheel-drive option.